Definition of Vision Quest: What is a Vision Quest? A Vision Quest is an attempt to achieve a vision of a future guardian spirit often through the process of fasting, isolation and meditation. A vision quest is a rite of passage traditionally undertaken at puberty by young boys of the Great Plains Indian tribes. A Vision Quest or Spiritual Journey was sometimes accompanied by the inducement of a Trance State for the purpose of attaining guidance or knowledge from supernatural forces or spirits. A Vision Quest is strongly associated with the Native American Indian belief in Animism that is based on the spiritual idea that the universe, and all natural objects within the universe, have souls or spirits. A Vision Quest can also be described as an 'Out of Body Experience that is the experience of moving out of the body yet retaining consciousness. Native American believe that a shaman is able to send their souls to distant places to obtain information or to bring back the lost soul of a sick person and this belief is used in Spiritual Healing. A Vision Quest is also undertaken by those wishing to seek and identify a Power Animal to help them as a spiritual guide to walk through different stages of life for the purpose of teaching and guiding them, and in some instances protecting them. In preparation for a Vision quest it is helpful to acquire a power song to wake up your Power Animal, and other spirit helpers. Power song songs are acquired by spending a day in solitude and fasting in natural surroundings. During the day consider what animal you feel like, and create a song about it. Vision Quest Preparation requires elements of fasting, isolation, prayer and meditation. The Vision Quest preparation should leave you feeling mentally refreshed and physically tired. This is the time to take a lie down and watch the clouds go by. Close your eyes and let your mind wander. You might fall asleep or just quietly daydream as you embark on your Vision Quest. A Guardian spirit does not have be manifested as a literal vision or a dream, it is more likely to be an intuitive revelation, perhaps triggered by a thought. A person can possess up to two of the powerful animal Guardian Spirits or Power Animals, but many of the less powerful plant Spirit Helpers might also present themselves in your Vision Quest. Some Native American tribes, notably the Pawnee, Mandan and Sioux, practised rituals and ceremonies involving self-torture in their Vision Quest traditions. These Vision Quest rituals and ceremonies varied from tribe to tribe but usually participants were required to undergo rigorous physical challenges such as exposure to the elements, solitary vigils, prayer and fasting in order to achieve a trance-like state to succeed in their vision quest. The Vision Quest was once called "Crying for a Vision." The 'Crier for a Vision' would voluntarily undergo extreme discomfort to evoke a mystic experience. The total focus of those undertaking a Vision Quest was on the world of spirits in which vulnerability and the presence of the fearsome unknown opened the soul to the Great Mystery. Some cultures augmented the Vision Quest experience with hallucinogens, torture and self-mortification. One such ritual was the Sun Dance of the Plains Indians. 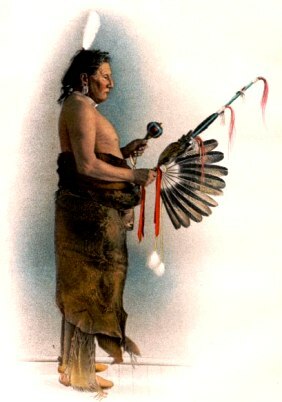 During the Sun Dance ceremony the participants pursued their vision quest through a four day ordeal in which they were first cleansed in a sweat lodge, undertook a long solitary experience exposed to the heat of the day and the cold of the night, had parts of their bodies slashed and were hung up by ropes attached to skewers in the shape of sharp animal claws, that were embedded in their flesh. The scars they bore served as a mark that they had undergone the Sun Dance ritual and had undertaken a difficult journey on their Vision Quest.